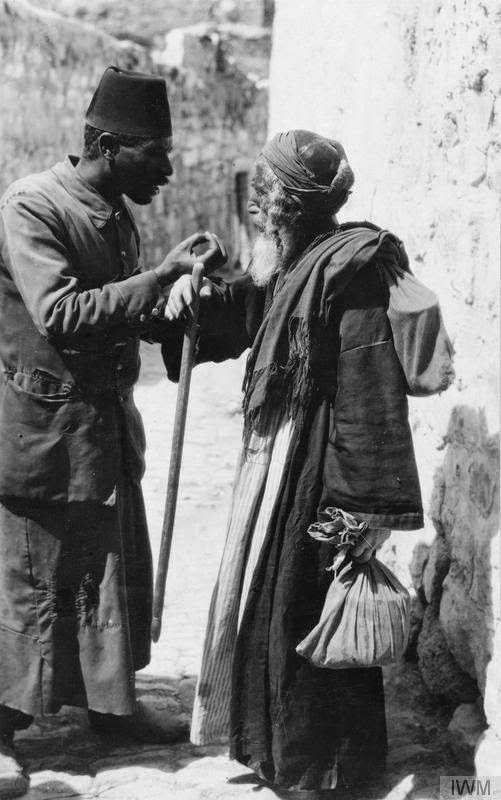 This series of pictures was taken in 1917 by a "German official photographer" in Jerusalem -- before the capture of the city by British forces in December, 1917. 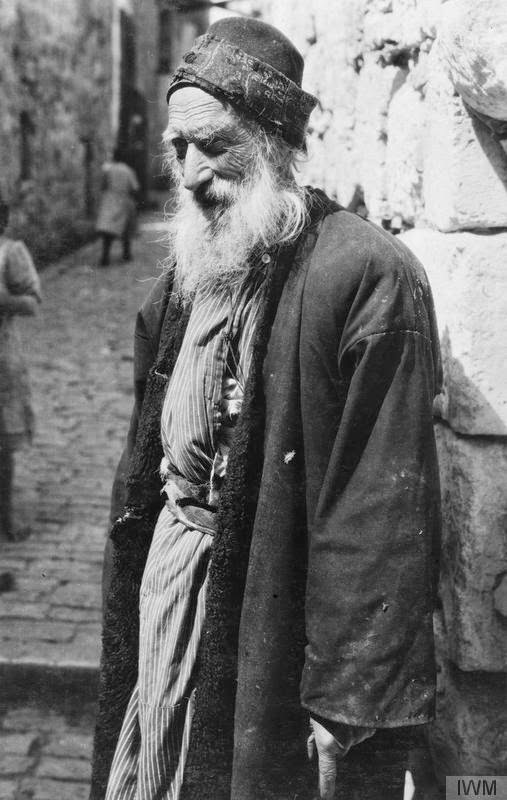 All of them bear the same caption: "A typical merchant in a Jerusalem street market, 1917." Nowhere in the captions are the subjects identified as Jewish, but they appear so, particularly upon examining their side curls (peyot), and they appear to be Sephardic -- Jews from the Arab world. 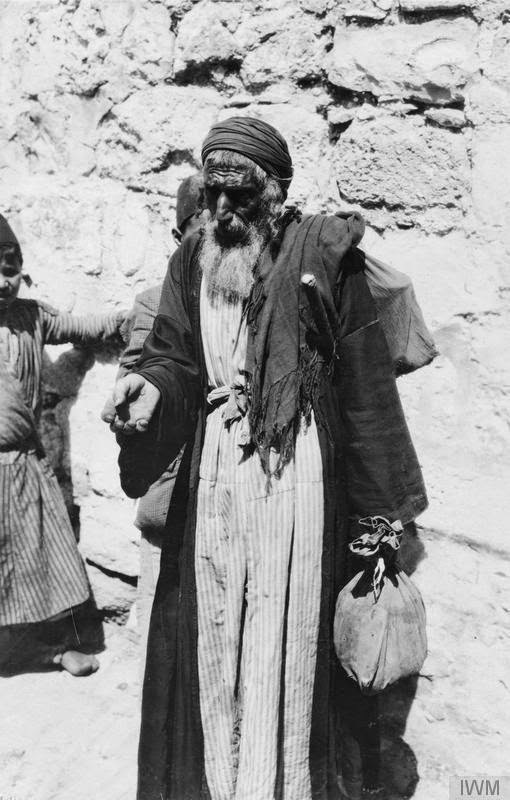 For the residents of the Holy Land, the period was one of abject poverty and even starvation. 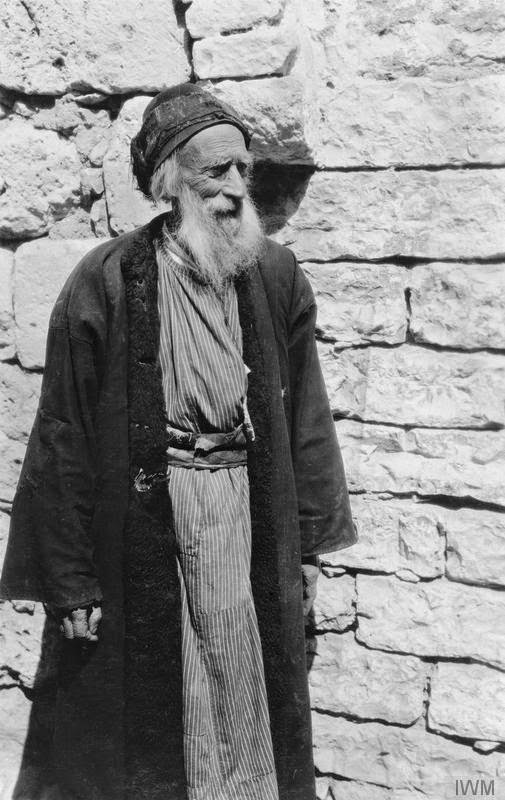 Jewish men, including heads of households, were forcibly conscripted into the Turkish army, in hiding, or fled the country. A severe plague of locusts struck the region in 1915 and ravaged crops. Rapacious Turkish troops looted residents almost at will. Some of the men pictured here could have been beggars. Why were the men labelled "merchants?" Perhaps the photographer associated them with another well-known Jewish merchant, Shylock? 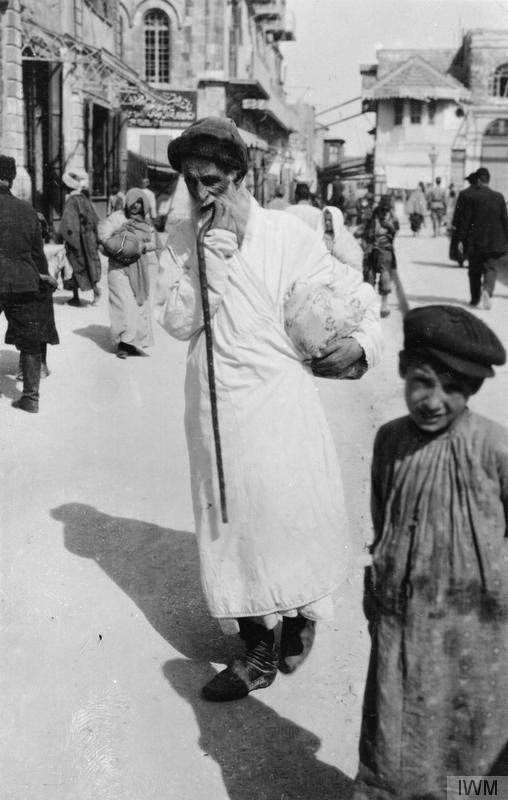 The dire state of the Jews of Jerusalem during the war was described in a report to the Twelth Zionist Congress in 1921: “In Jerusalem [apparently in 1917] …dozens of children lay starving in the streets without anyone noticing them. Typhus and cholera carried off hundreds every week, and yet no proper medical aid was organized. … a considerable portion of the Jerusalem population perished. The number of orphans at the time of the capture of Jerusalem by the English Army was 2,700." Click on the pictures to enlarge. Click on the caption to view the originals in the Imperial War Museum.